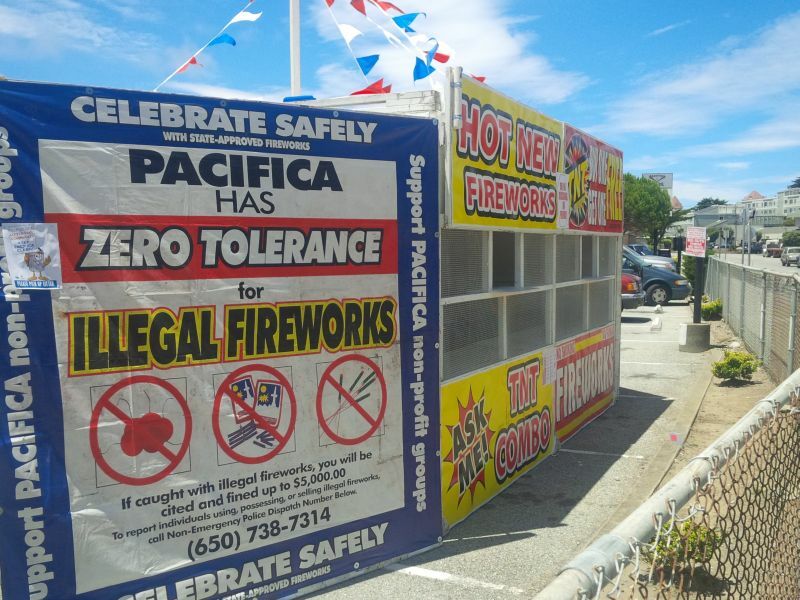 Pacifica is one of the two cities on the San Francisco peninsula that allow the sale of fireworks. The booths arrived last weekend and opened yesterday afternoon or today. This is the stand at the little shopping center on Crespi. I took the photo yesterday. Many Pacificans agree that selling fireworks is a bad idea: We have steep, brush-covered hillsides that pose a fire danger. People use the "safe and sane" fireworks to mask the unsafe and insane variety. 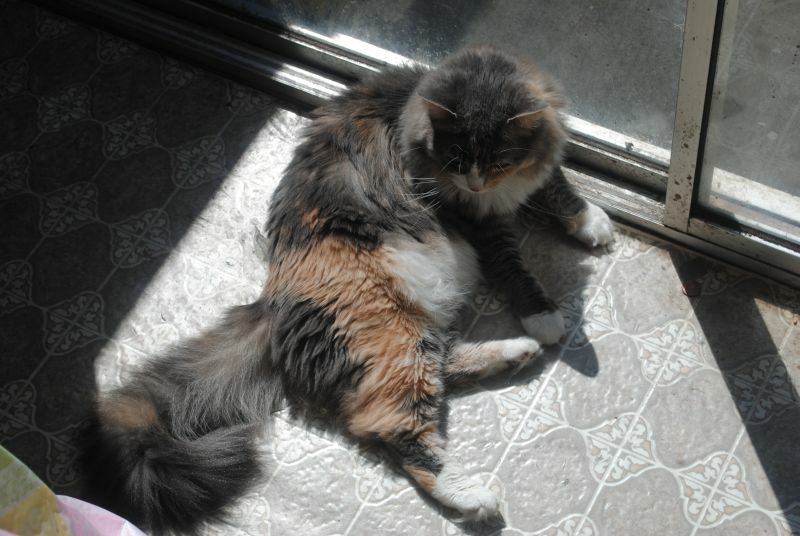 Not to mention my cat hates the Fourth of July. Not to mention we are in the midst of a terrible drought. 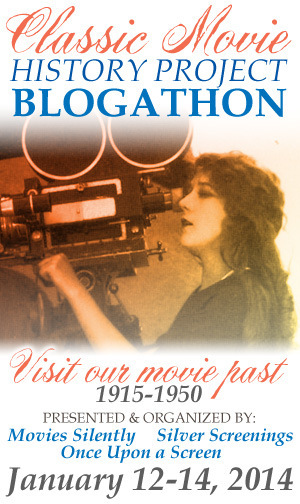 Over at my movie blog, The Big V Riot Squad (http://bigvriotsquad.blogspot.com/), I am participating in the Classic Movie History Project Blogathon II hosted by Fritzi at Movies Silently, Ruth at Silver Screenings and Aurora at Once Upon a Screen. 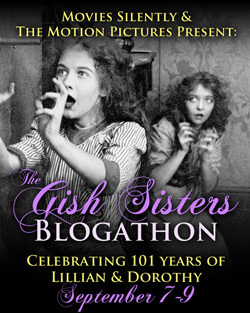 From Fritzi: "We have divided the history of film from 1880 to 1975 between us. 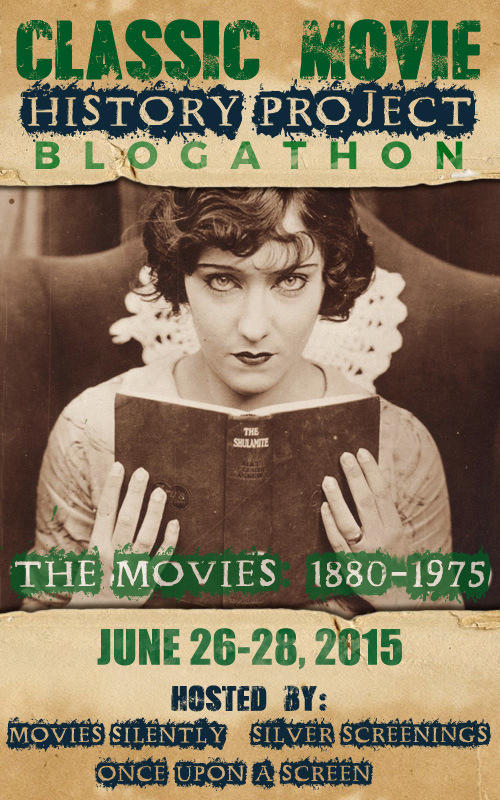 I am your Silent Era host and will be covering 1880-1929. Aurora is our Golden Age host and will be covering 1930-1952. 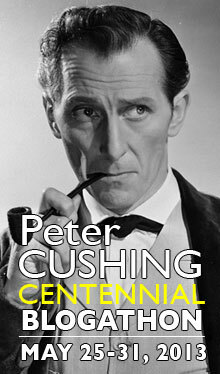 Ruth is our Modern host and will be covering 1953-1975." I had a great time last year. 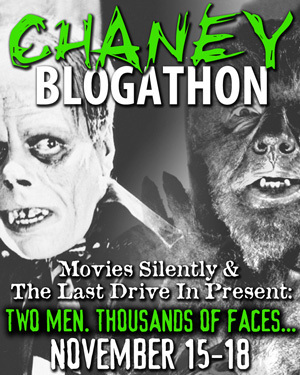 Flicker Alley is sponsoring the blogathon. 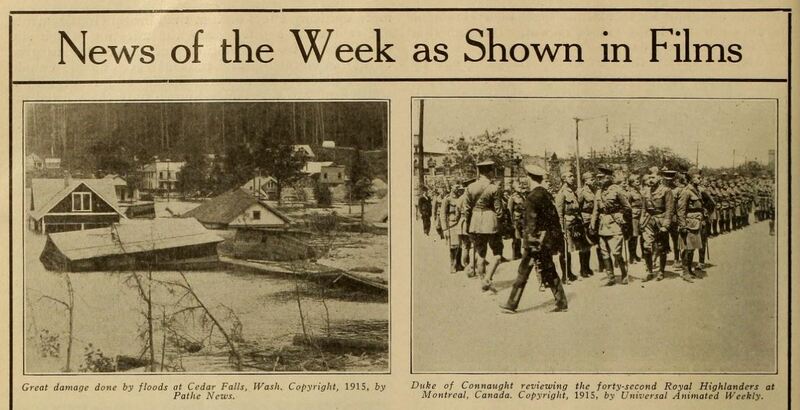 The 26-June-1915 Motography featured "News of the Week as Shown in Films," with items from current newsreels. "Great damage done by floods at Cedar Falls, Wash. Copyright 1915 by Pathe News." The failure of a dam caused the slow flooding of Cedar Falls, Washington. The town was abandoned. "Duke of Connaught reviewing the forty-second Royal Highlanders at Montreal, Canada. Copyright 1915 by Universal Animated Weekly." Prince Arthur, the Duke of Connaught and Governor General of Canada, was a son of Queen Victoria. "$750,000 stadium donated to the College of New York City by Adolf Lewisohn. Copyright 1915 by Universal Animated Weekly." Banker Adolf Lewisohn donated Lewisohn Stadium to the City College of New York. The stadium was torn down in 1973. 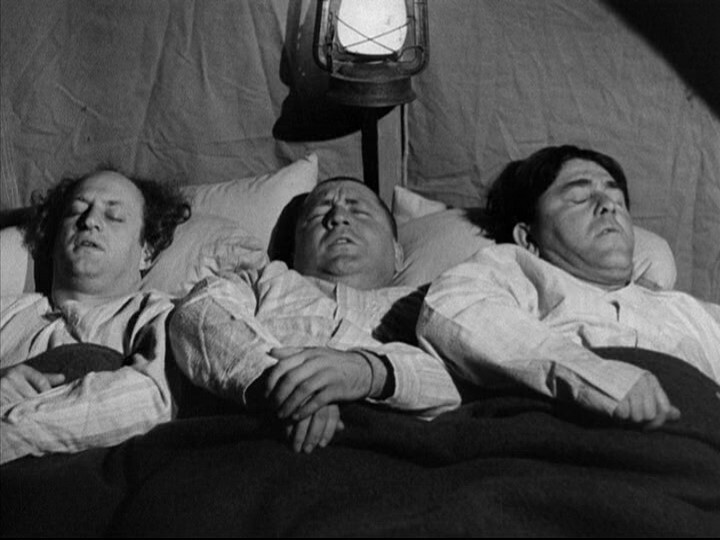 "Chinese commissioners are taken to Thomas A. Edison's laboratories. Copyright 1915 Hearst-Selig News Pictorial." The commission travelled across the country from San Francisco. "Ships sailing for Italian ports are crowded with reservists. Copyright 1915 Hearst-Selig News Pictorial." Copyright 1915 Hearst-Selig News Pictorial." Many European immigrants returned to serve their countries. "French soldiers enter trenches at Las Bassee, France. 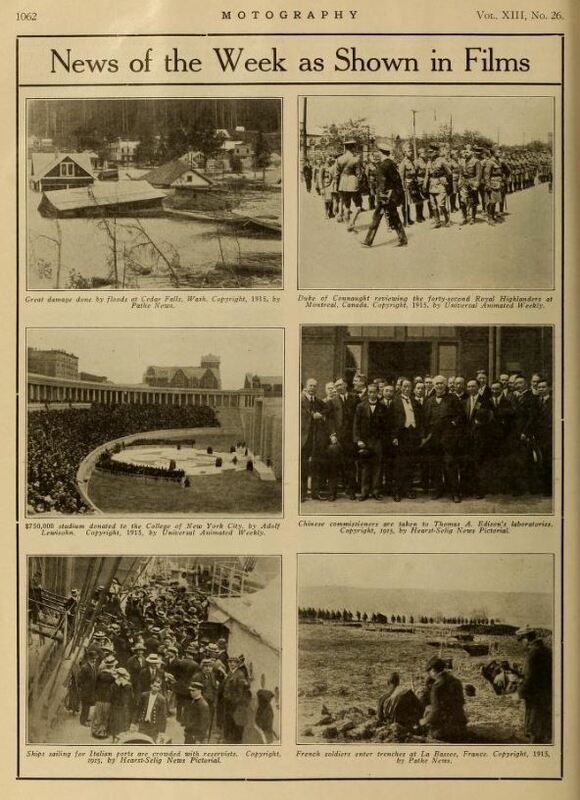 Copyright 1915 by Pathe News." Most of the war was fought in trenches. La Bassée is in northern France. I took the photo on 06-June-2015. Click on the image to see a larger version. 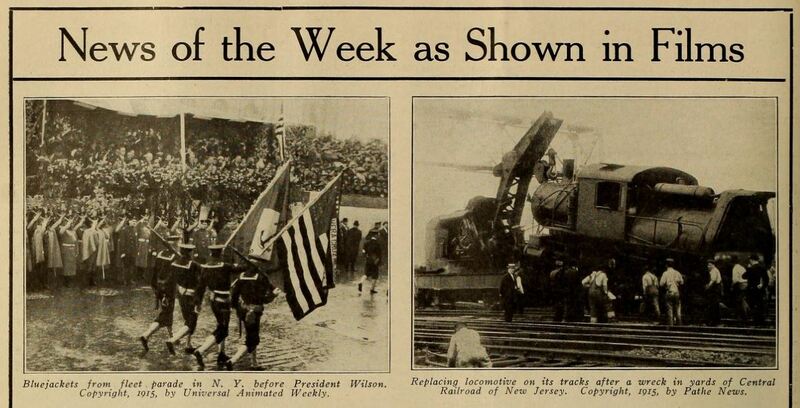 The 19-June-1915 Motography featured "News of the Week as Shown in Films," with items from current newsreels. "Thousands of mourners pay loving tribute to the memory of Charles Frohman. Copyright 1915 by Universal Animated Weekly." Theatrical producer Charles Frohman died in the sinking of the Lusitania. "African Chausseurs show their proficiency in welding (sic - wielding? - JT) their lances, at Seulis, France. 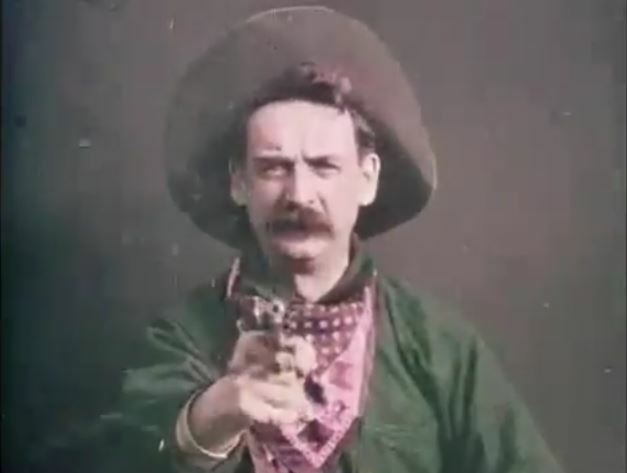 Copyright 1915 by Pathe News." The Chasseurs d'Afrique were a light cavalry regiment in the French Army. "Members of Chinese Commercial Commission arrive in New York. Copyright 1915 Hearst-Selig News Pictorial." The commission travelled across the country from San Francisco. "Coney Island, N. Y., again becomes the mecca of summer pleasure-seekers. Copyright 1915 by Universal Animated Weekly." I wonder if that is Luna Park. "Two of the deadly bombs dropped on Bury St. Edmunds, England from Zeppelins. Copyright 1915 by Pathe News." I guess that is a British policeman holding two duds. "Braves hoist the championship pennant over the home grounds. Copyright 1915 Hearst-Selig News Pictorial." The Miracle Braves won the 1914 World Series after being in last place on July 4. They defeated the Philadelphia Athletics in the World Series. The Golden State Warriors defeated the Cleveland Cavaliers 4-2 in the NBA championship series. I don't usually mention basketball here, but I watched each game of the championship. I remember the last time they won in 1975-1975. I remember when Nate Thurmond got traded to the Cleveland Cavaliers. I had never heard of them before. 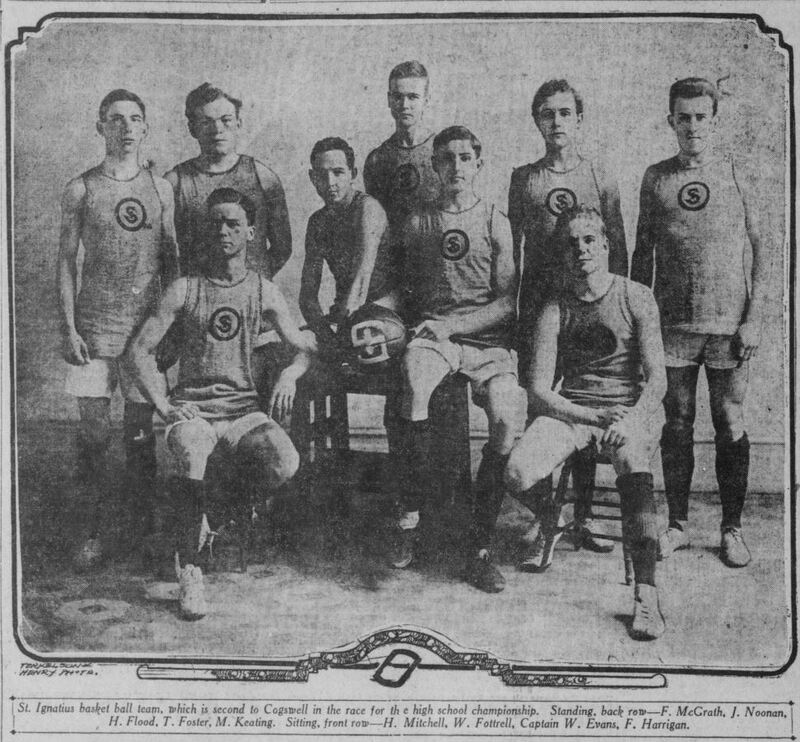 The photo shows the Saint Ignatius basketball team in 1911. 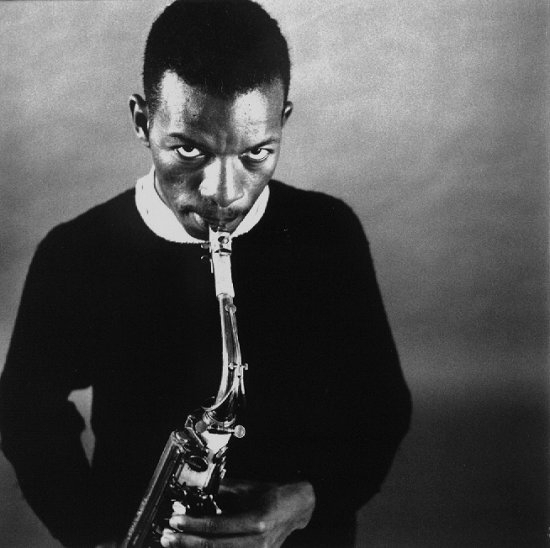 Ornette Coleman died. I took The Art of the Improvisers out of the Anza Branch Library when I was in grammar school and it expanded my mind. Among the tunes was "Moon Inhabitants." 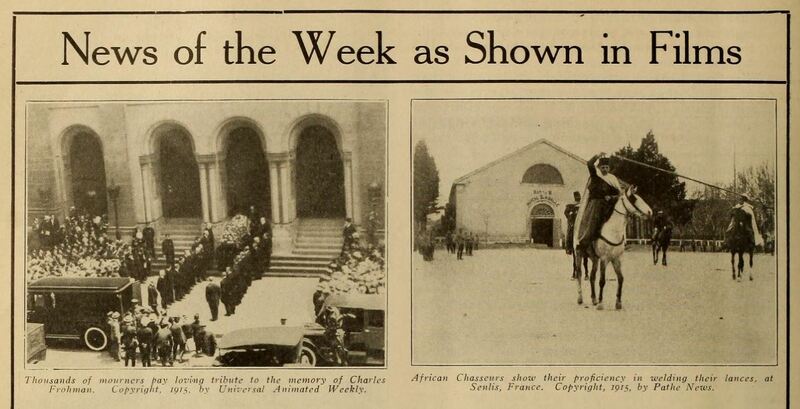 The 05-June-1915 Motography featured "News of the Week as Shown in Films," with items from current newsreels. Last week I mistakenly posted the photos from the 12-June-1915 Motography. "Bluejackets from fleet parade in N. Y. before President Wilson. Copyright 1915 by Universal Animated Weekly." The Navy's Atlantic fleet visited New York to take part in a review before President Wilson. "Replacing locomotive on its tracks after a wreck in the yards of Central Railroad of New Jersey. 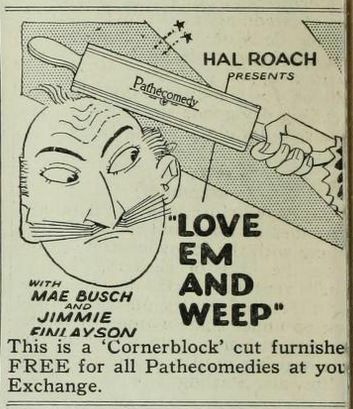 Copyright 1915 by Pathe News." The locomotive is called a Camelback or a Mother Hubbard. "A vast crowd see Harry Payne Whitney's Regret win the Kentucky Derby. Copyright 1915 by Pathe News." Regret won the 41st Kentucky Derby on 08-May-1915. "Burying Lusitania's unidentified dead, at Queenstown, Ireland. Copyright 1915 Hearst-Selig News Pictorial." After the Lusitania sank, many of its dead were buried at Queenstown (now Cobh), Ireland. "Sailors of Atlantic fleet march in review at New York. Copyright 1915 Hearst-Selig News Pictorial." The Navy's Atlantic fleet visited New York to take part in a review before President Wilson. See the Universal version above. 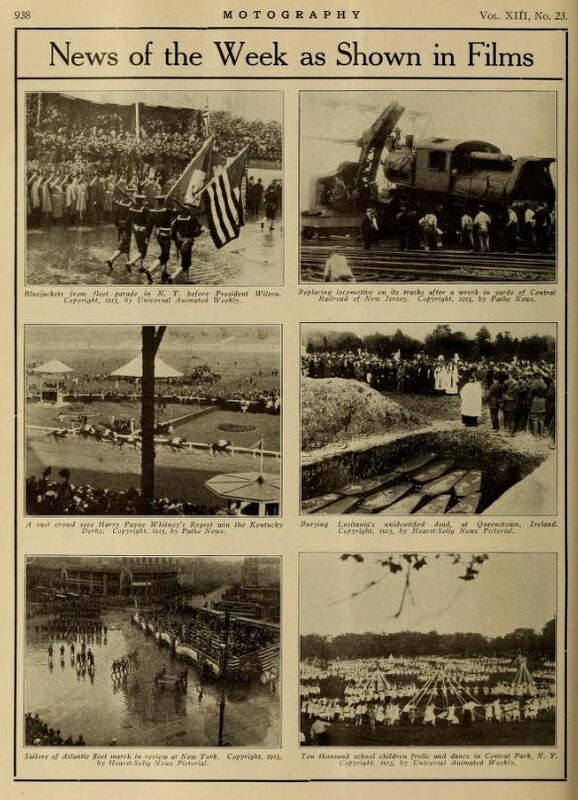 "Ten thousand school children frolic and dance in Central Park, N. Y. Copyright 1915 by Universal Animated Weekly." Schools used to celebrate May Day. I don't hear about it nowadays. 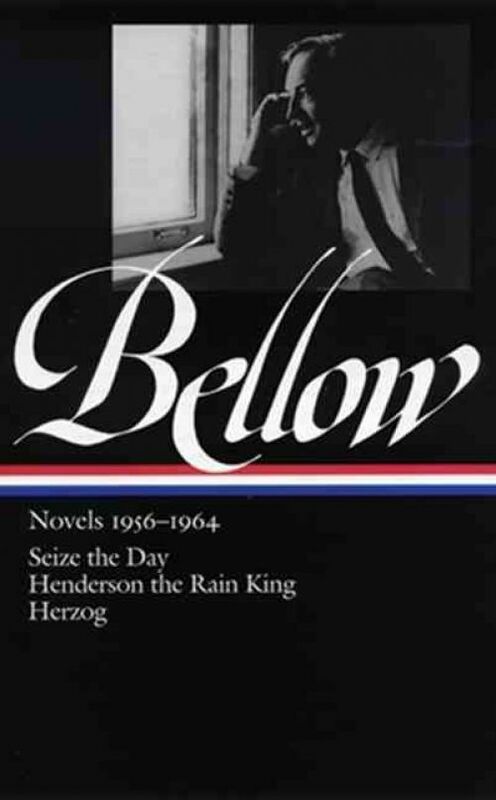 Happy 100th birthday to novelist Saul Bellow. I first read Seize the Day in high school. He won the Nobel Prize for Literature for Humboldt's Gift in 1976. Later, I remember a college professor saying he was out of date or out of style or something like that. I'm taking another break till about August. Some queued up items and at least one blogathon entry on my other blog will appear during that time. 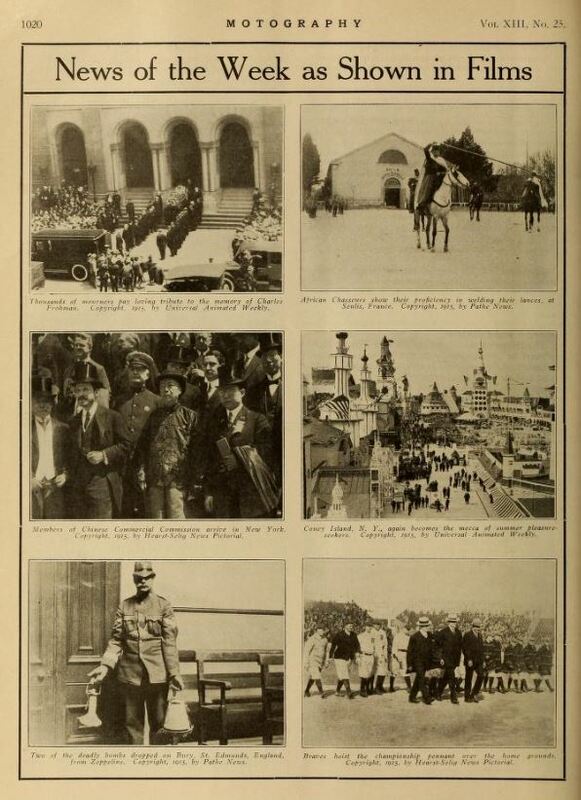 The 12-June-1915 Motography featured "News of the Week as Shown in Films," with items from current newsreels. I meant to do 05-June-1915 this week. 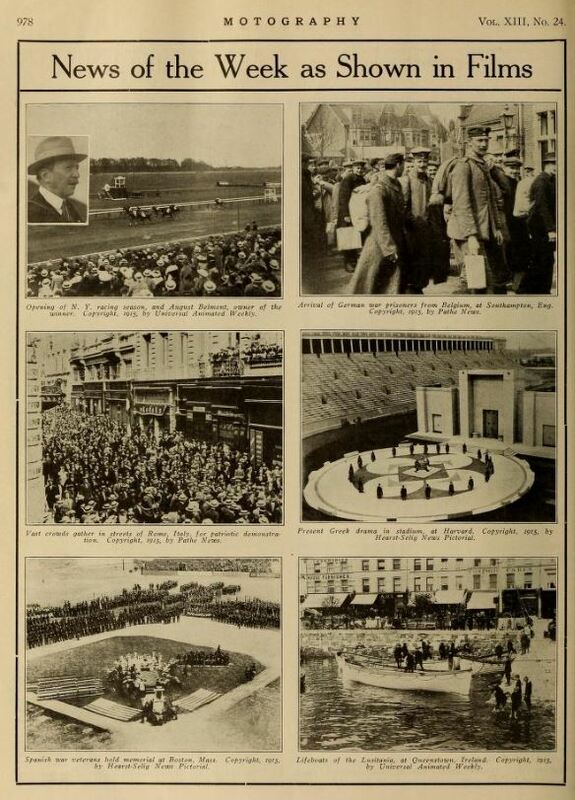 "Opening of N. Y. racing season, and August Belmont, owner of the winner. Copyright 1915 by Universal Animated Weekly." August Belmont, Jr. was an enthusiast of thoroughbred racing. He bred the great champion Man O'War. His horse Stromboli won the Metropolitan Handicap at the opening of the 1915 racing season at Belmont Park. 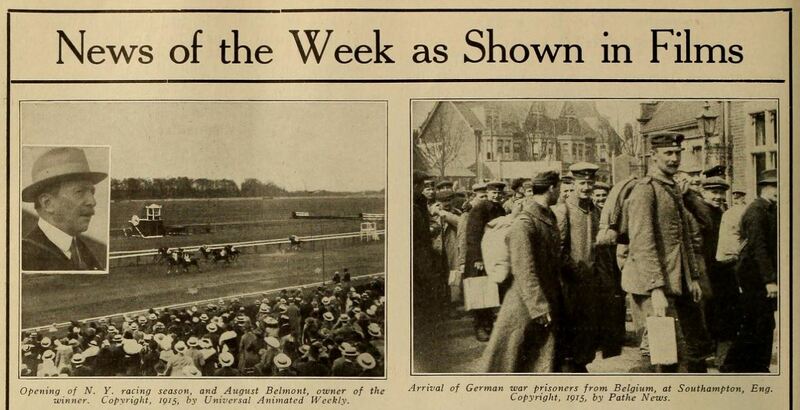 "Arrival of German war prisoners from Belgium at Southampton, Eng. 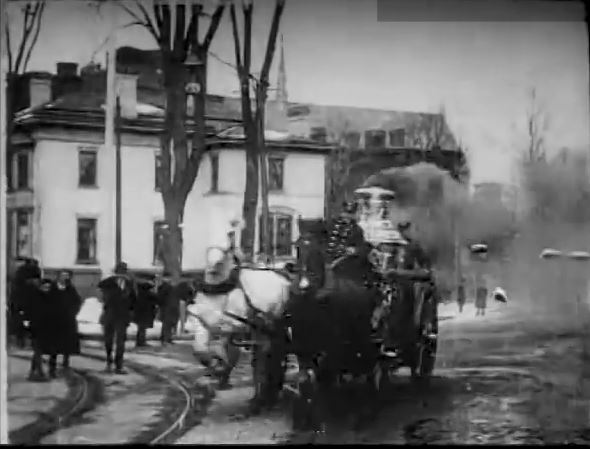 Copyright 1915 by Pathe News." POWs were sometimes shipped to Britain to reduce the strain on France. "Vast crowds gather in streets of Rome, Italy for patriotic demonstration. 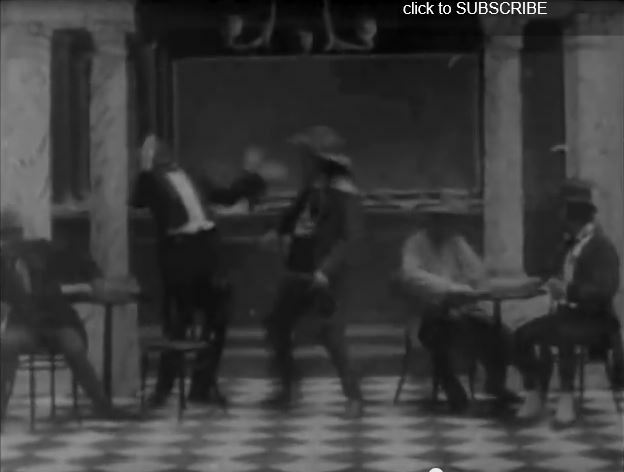 Copyright 1915 by Pathe News." Italy declared war on Austria-Hungary on 23-May-1915. "Present Greek drama in stadium at Harvard. Copyright 1915 Hearst-Selig News Pictorial." Greek dramas were going through a popular period. "Spanish war veterans hold memorial at Boston, Mass. Copyright 1915 Hearst-Selig News Pictorial." This may have been a Decoration Day ceremony, probably at Fenway Park. Braves Field did not open until August. "Lifeboats of the Lusitania, at Queenstown, Ireland. Copyright 1915 by Universal Animated Weekly." After the Lusitania sank, many of its lifeboats were towed to Queenstown (now Cobh), Ireland. Art Smith, who had been racing miniature autos at the fair, became the exhibition flyer. 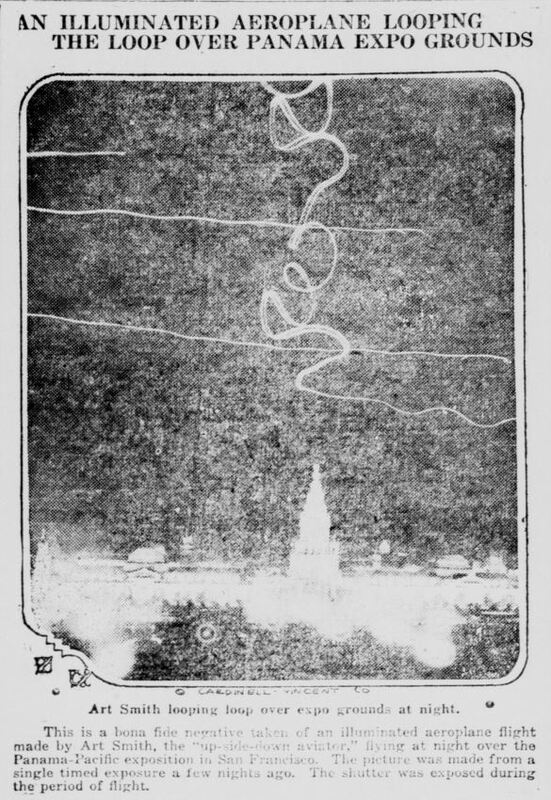 This item, from the 18-June-1915 Arizona Republican, shows Smith flying over the exposition with flares on his wings. Smith died in a crash on 12-February-1926 while flying airmail. This is a bona fide negative taken of an illuminated aeroplane flight made by Art Smith, the "up-side-down aviator," flying at night over the Panama-Pacific exposition in San Francisco. The picture was made from a single timed exposure a few nights ago. The shutter was exposed during the period of flight. The Berg A. T. and S. Company (anyone know what that stands for?) 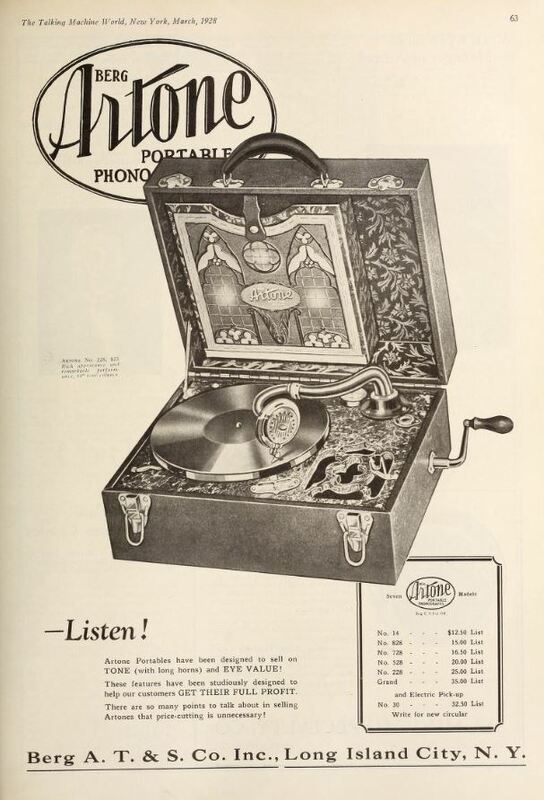 made the Artone portable phonograph. "Artone portables have been designed to sell on TONE (with long horns) and EYE VALUE!"